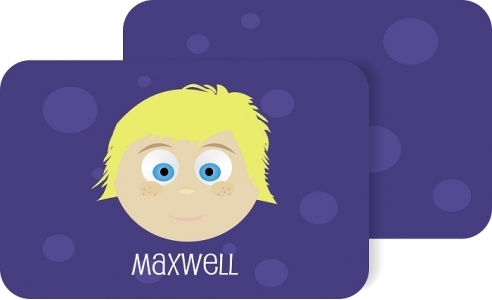 Our personalized Little Me placemats make the perfect gift for a birthday or holiday -- a great opportunity to enforce name recognition and the spelling of your child's name while eating. They can be used during meals or to keep space clean during crafts. Placemats are laminated to be wiped clean for everyday use. Measures 17" x 11" (w x h). Made of heavy 20mil laminated. Design on both sides.